Dunno what it is but I want one! Is it like a cheap iPad? Create an account, add the sample to your basket and order! No info on amount available, sample size or time it takes to arrive but who doesn't love a freebie! 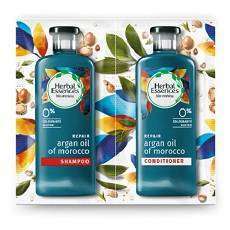 Yes, a shampoo &amp; conditioner that looks like the picture below. Is it a sachet you get of it? 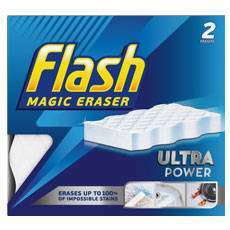 Add to basket and order a free sample of Flash Magic Eraser Extra Power 2 pack. I used it on my car yellowing headlights, and it works, unless its in a very bad condition. Just to be clean you login or sign up in order to get the coupon money off, right. Cause this is what I had to do following the procedure. Can anyone verify that please? 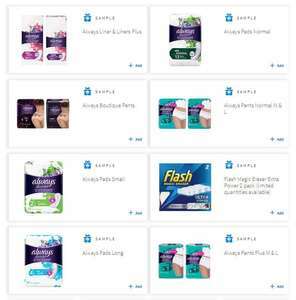 7 different different types of samples from Always through Supersavvyme. Additional Flash magic erasers if you haven't already ordered in the past! FREE 2x Magic Erasers and 75ml fairy non bio sample! Everyone loves a freebie! Pop over, add to your cart and check out! Where is everyone getting them from exactly? All I have is reviews and that's it, there aren't any magic eraser products.. I tried to print the offer coupons on the site, it said click the link to get the printable coupons which I did but it just kept looping back to the " click here to get the printable coupons". I tried on my phone and my tablet, neither would work. Anyone have the same problem? It is legit. but the adage nothing is free is usually true - if there is no price to a product - you are the product. that is the case here, they will no doubt farm details to hammer people with. would recommend making sure to untick any promotional email boxes and sharing with other companies, and use a throwaway email/phone number. Sign up and get the sample - usual drill. Its sample so I am assuming it would be 3 or maybe 5 tablets. Hope it helps someone. Doh - looks like they have already finished then - coz I ordered the samples before posting. Sorry folks :( Expiring it. Where ? No samples shown?? You can print a £2.49 off coupon at supersavvyme.co.uk and use this to buy Lenor Secrets at Tesco/ Asda which currently have it on offer for £3, making it just 51p! Can only see a £0.50 voucher for Lenor? What have I done wrong!! I can't print the vouchers. I would rather be doing that than have a repeat of what yodel did when they delivered a parcel and left it in an "agreed" safe place - my wheelie bin! I've got an ocean full of these at home. no they don't. I have a large bottle bought from Costco and it doesn't have one on it. Sadly my OH threw ours away. Hi Simacat1, I have used used my partners coupon at Tesco, with no problem and paid just £1.51 for the Lenor and a packet of Quavers. I have used one with no problems, am going to use my partners tomorrow. Thank you, mine arrived today. This brand tests on animals! Cold! I still see it. Maybe try clearing browser cookies? Missed on Tesco deal as they were selling g it half price until yesterday so bought at Asda today. Just a bit of advise - don't go through self checkout as coupon won't be accepted. Site has not been working for four days now to obtain money back !! Order your free liquid or powder dosing device. Agreed - and this will no doubt have you using too much powder anyway. We use the lid of an old roll on deodorant bottle, perfect amount and less than half that "recommended". Still washes perfectly and the machine does not get clogged up. I think the should just put the prices down rather than sending out all this rubbish. One month I might buy capsules, then power ultra etc. Dozing devises are a waste of plastic. hashtag BBC breakfast. hashtag straws are killdlife wildlife. more useless plastic that is not needed!!!! Actually, I've not seen a scoop in the boxes of Fairy Washing Powder we've bought for at least 15 years now - this includes the 80, 65 and 40 wash packs.